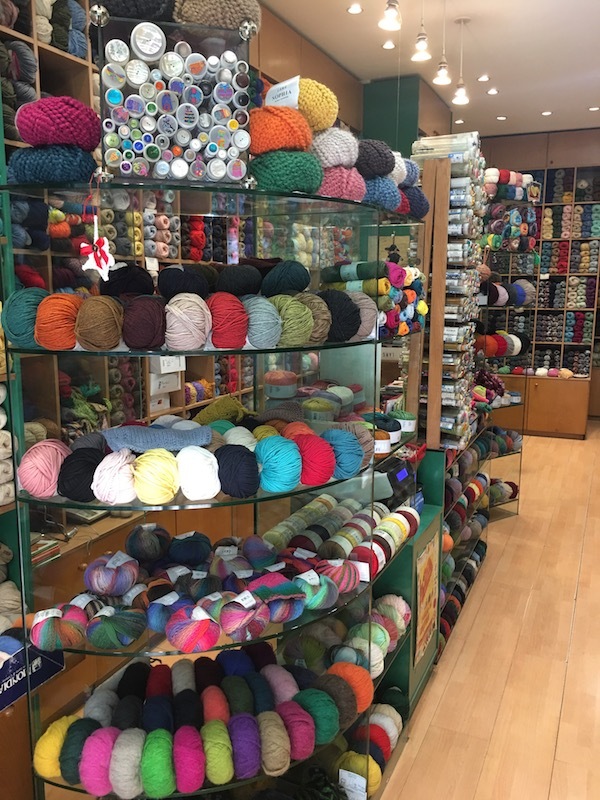 My mission on my twelve months trip around the globe, is to try and find at least one local yarn store in the city that we travel to. 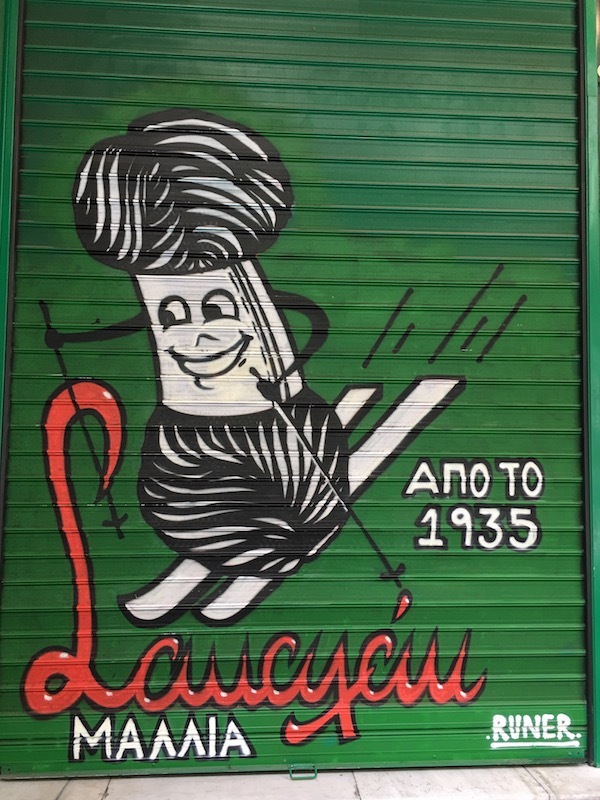 Upon wondering the streets of Athens recently on a Sunday we came across this local yarn store that had a really cool sign on their roller door. You see the shop was closed on a Sunday. So was super excited about this and was definitely going to go back (minus my partner, so I could browse through this lovely store at my own leisure!!). A couple of days later I managed to find my way back to this local yarn store, all by myself with no trouble at all. Sometimes getting lost in a strange city is easy to do. Well I was amazed at their selection and how friendly the owner Joseph was. He was very chatty and advised me that this was a family run business and had been going for over 35 years. He was interested in my story about travelling for 12 months and was very interested in all the places we had been to so far. Ended up being in this store for ages as I could just not choose what to purchase. 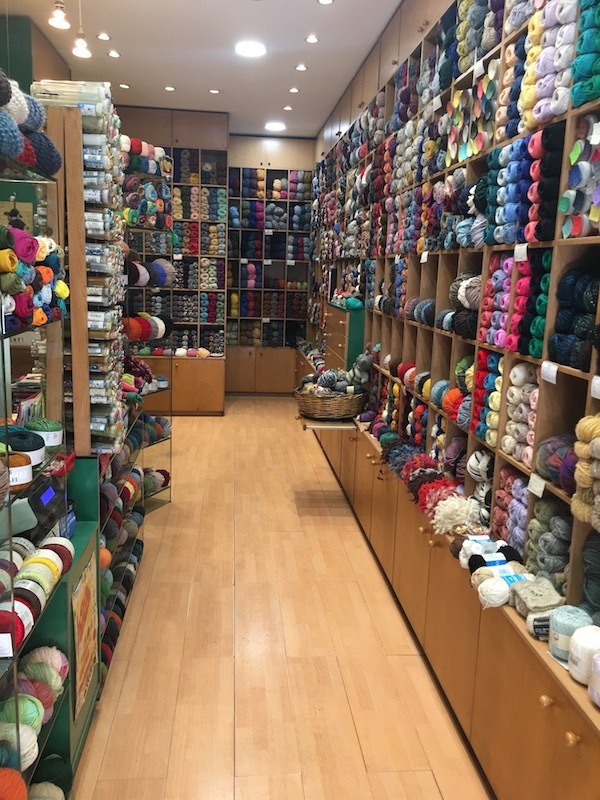 Decisions, decisions, this is definitely a hazard for all yarn lovers when they enter their local yarn store, I am sure of that! 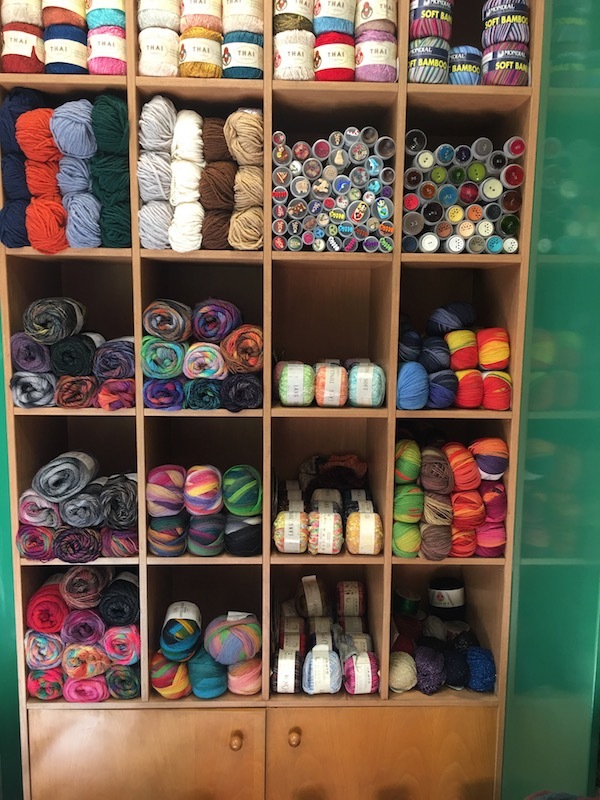 Here are a few more shots of inside this fabulous local yarn store. I would definitely recommend that you visit this store if you are visiting Athens. I joined Woolswap because I love yarn, knitting and meeting new people who has the same hobbies. When I joined this time I got a person that matched me perfect. When I received the parcel it was like Christmas. All the yarn was perfect and the small gifts that she sent me were just to my liking. I will definitely join Woolswap again and would have to tell other people who are wondering if they should participate in Woolswap to do it. This is my first experience, participating in Woolswap, however I have done Fibershare. I must say, I enjoyed the Woolswap experience a bit more. I think it's because, I was able to establish a closer relationship with my partner, trading with each other. I'm happy I purchased the 6 swap option, and can't wait to meet my next partner. Thank you so much for setting this up for us! It's really fun!